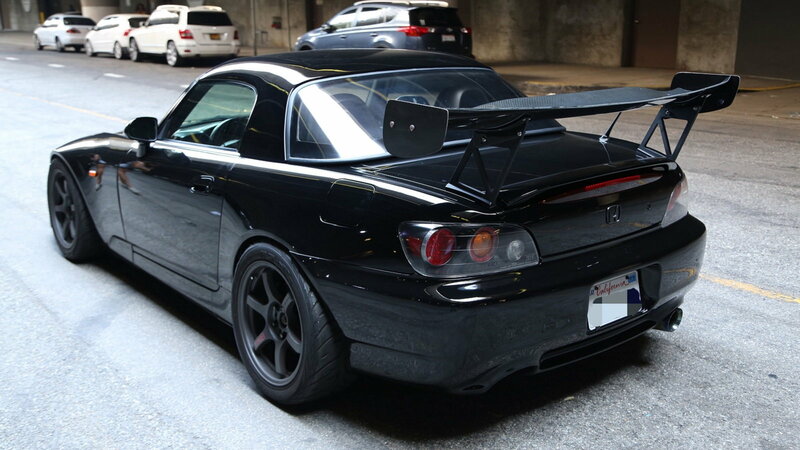 We've seen all manner of factory and custom painted S2000s, and haven't found too many that we dislike. 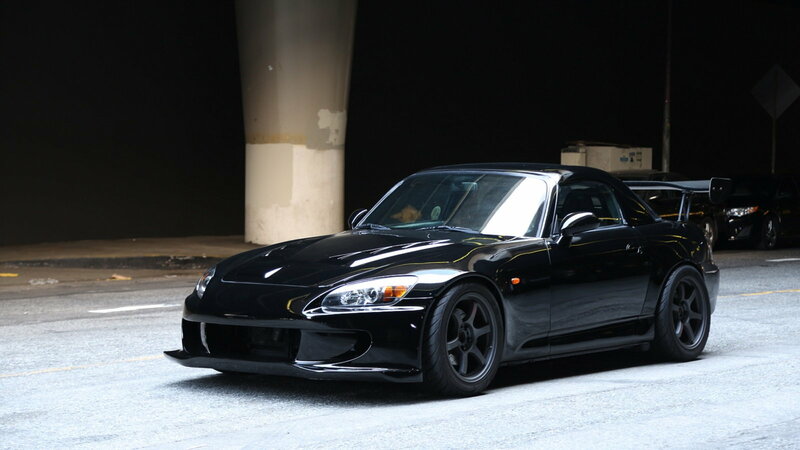 But like most cars, Honda's little roadster can benefit from a simple, timeless, all-black appearance. And that is precisely the look that S2KI forum member sketch213 was going for with his ride. The super clean AP2 is far more than just a cool paint job on wheels, of course. It has a fair amount of customization done to it, starting with the obvious ForbiddenUSA OEM-style top, which is a nice touch. 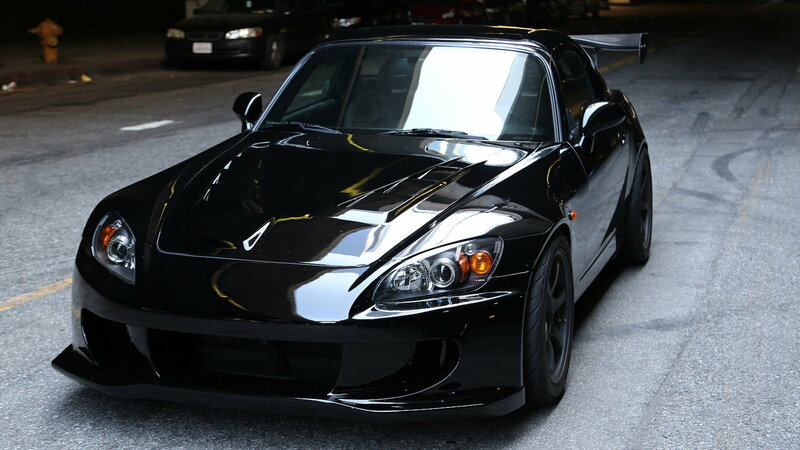 >>Join yet another conversation about this all-black S2000 right here in S2Ki.com. Downforce front fenders add to the custom look, along with an ASM-style bumper. But we're really digging the ViS Mugen-style carbon fiber hood, which has been painted to match the rest of the car. 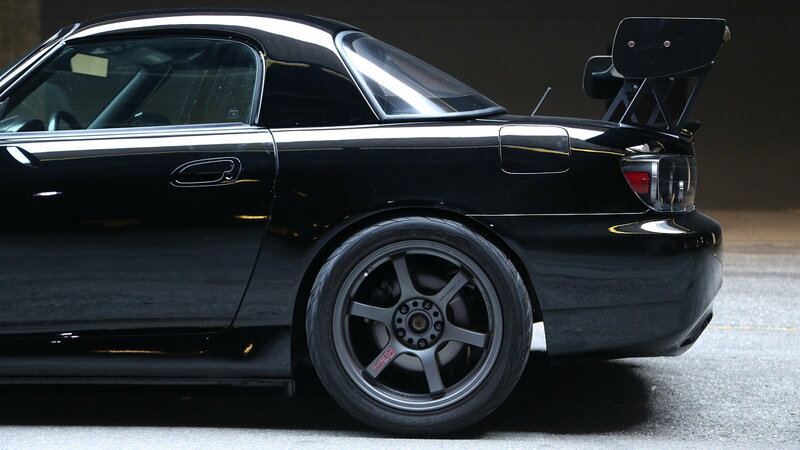 The most obvious exterior mod, of course, is that massive rear wing. It's an APR 300 piece, and it's easily large enough to double as a tray table if you're out and about and need an impromptu picnic spot. 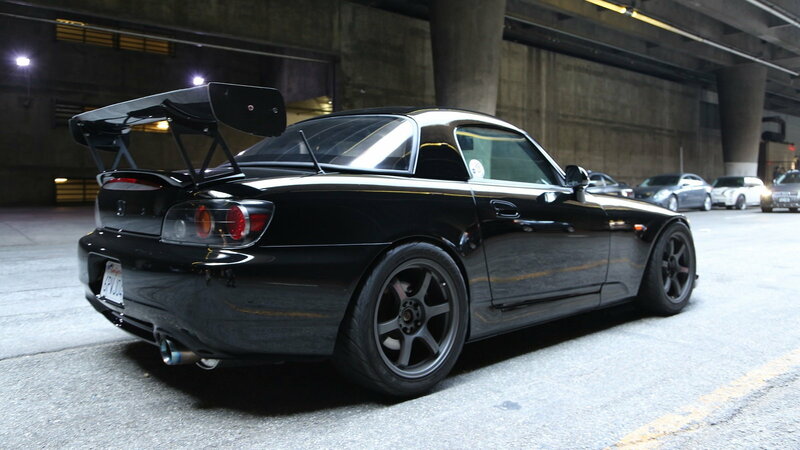 A set of 17x9+28 GramLight 57DR wheels perfectly complement the look of this S2000. And they're wrapped in meaty 255/40 Federal RSRR tires for prodigious amounts of grip. To get the car sitting right, the OP installed a set of HKS Hypermax GT coilovers. And there are a few more suspension goodies lurking underneath that further aid handling and stopping performance. Those goodies include Buddyclub F&R extended ball joints, Ballade axle spacers and OEM+ motor/trans mounts, and ProjectMu Club Racer brake pads at all four corners. All-in-all, a tasty package indeed. 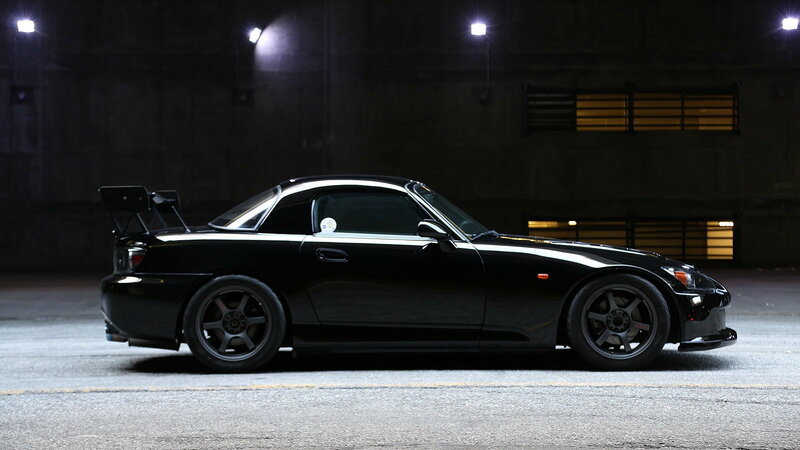 This all-black S2000 might not scare the living daylights out of the bystanders you come across, but it is sure to grab their attention.